The histogram control gives the user some control over the high or white end of the image histogram. It is located at the top of the “Tune” panel associated with each detail filter. 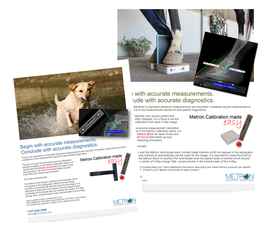 Metron supports several schemes to achieve calibration due to the number of different systems and situations a veterinary practitioner works in. The Metron Block and Auto-Scaler are calibration tools that will ensure radiographs and photographs can be accurately measured with Metron. This is why calibration is important wherever measurements are important. 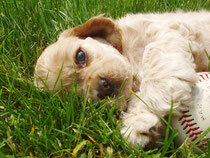 It enables veterinarians to have confidence in the measurement results for their patient diagnostics. Though we have several measurement calibration options available in the Metron calibration panel, we recommend the Metron Auto-Scaler or the Metron Block for ease of use and accuracy with both the Guided Mark-Up and Free Mark-Up measuring processes. Do you have questions about Guided Mark-Up? Would you like additional information describing how these Metron products can benefit your practice? Contact us for details and pricing for each product. The question has been asked many times...."How do I do a measurement?" Metron Imaging Software offers many different Guided Mark-Up techniques to aid in diagnostics for equine andcompanion animalveterinarians. The goals of an X-Ray exposure include the presentation of an image that is properly exposed, contains sufficient diagnostic detail, and shows minimal distortion. Calibration should be performed on images to allow mark-up for measurements and scoring as well as overall image quality for viewing and reports. So, what is the best method? 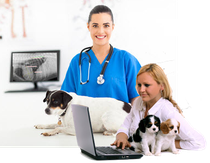 Companion Animal: The "benefits" for a companion animal veterinarian is that the X-Ray generator does not move nor does the examination room table. Distance remains a constant. Any object of known length can be used if placed in the same lateral point (in the same line) with the point of interest. Metron has developed the Metron Auto Scaler for this purpose. Again, it is important to place the Auto-Scaler near the patient area of interest which should also be nearest the center of the X-Ray energy field - perpendicular to the central beam of the X-Ray. Equine: The distance between your equine patient and the generator often changes. It is critical to set the measurement calibration with each X-Ray image. and accuracy with both the Guided Mark-Up and Free Mark-Up measuring processes. The Metron Block contains metal markers which will appear in the radiograph. Metron will use these markers to automatically set the scale for the image. It is important to place the hoof on the center line of the Metron Block. You can also use the Metron Auto-Scaler for other detail shots by strapping the device to the horse's leg. 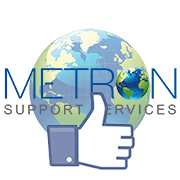 Being a valued member of our Metron Support Services family, we want to make sure you are taking advantage of products available to you.